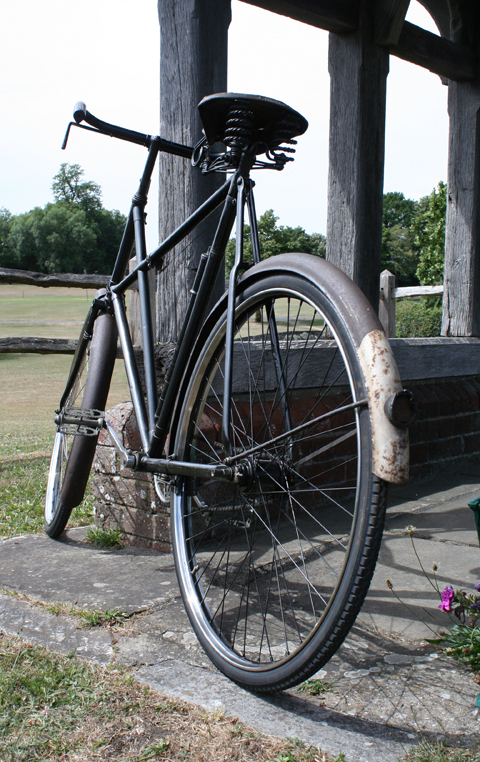 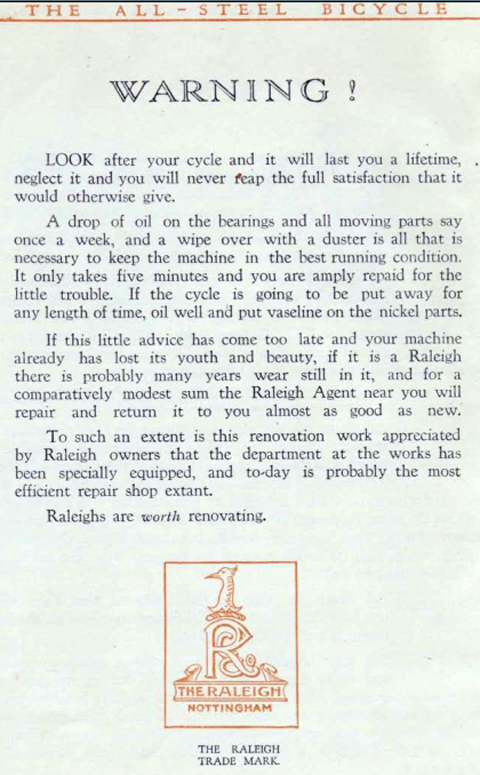 The fact that this Raleigh Crossframe is still on the road 88 years after its manufacture is a testament to the quality of Raleigh cycles. 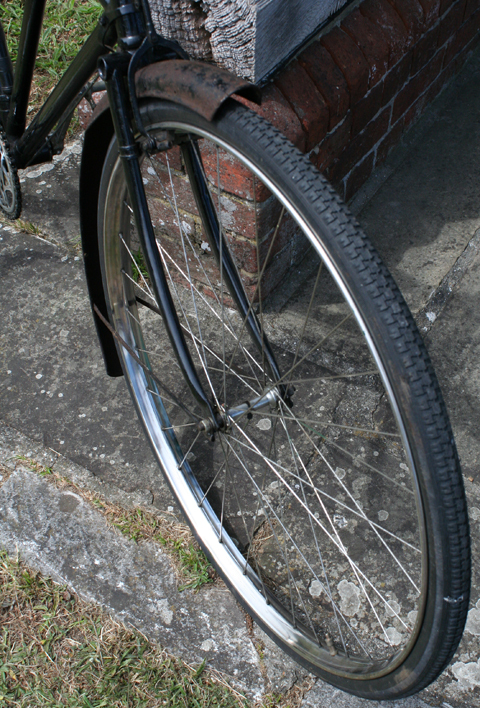 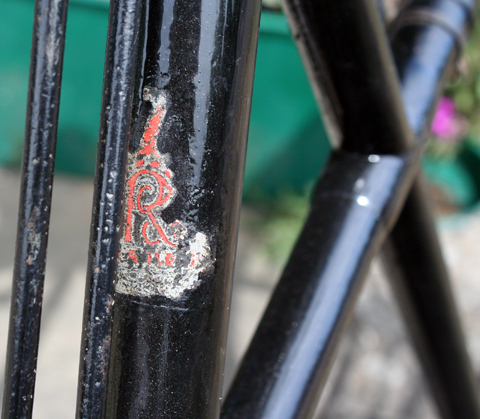 As you can see, the Raleigh transfer on the head has seen better times. 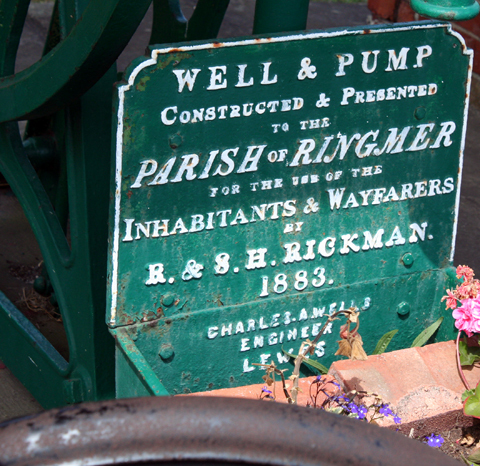 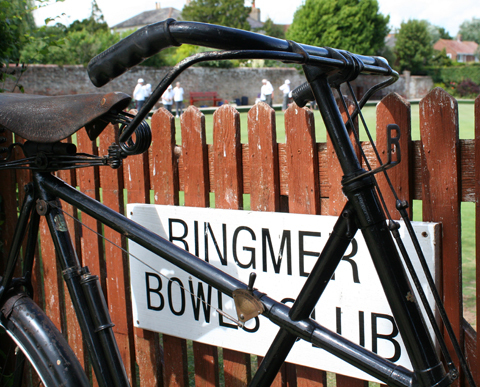 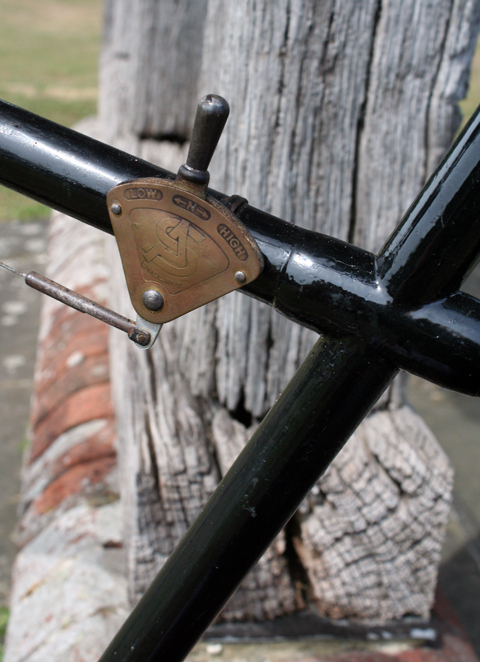 But it still proudly proclaims the name of Great Britain’s greatest bicycle manufacturer. 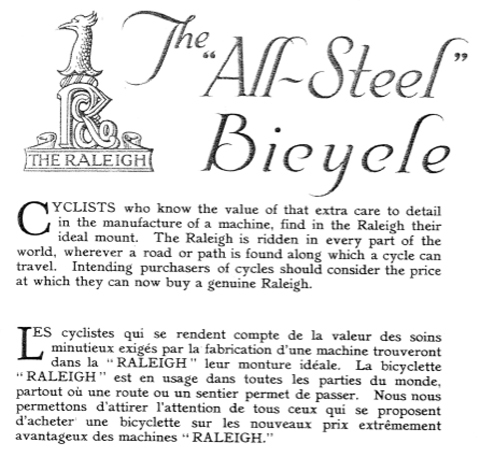 When this Superbe rolled off the production line, British industry led the world and our bicycles and motorcycles were exported everywhere. 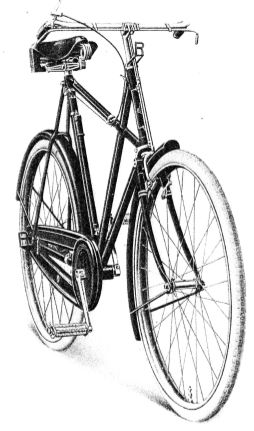 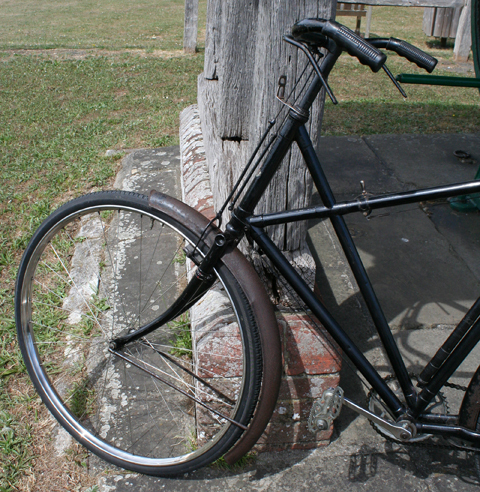 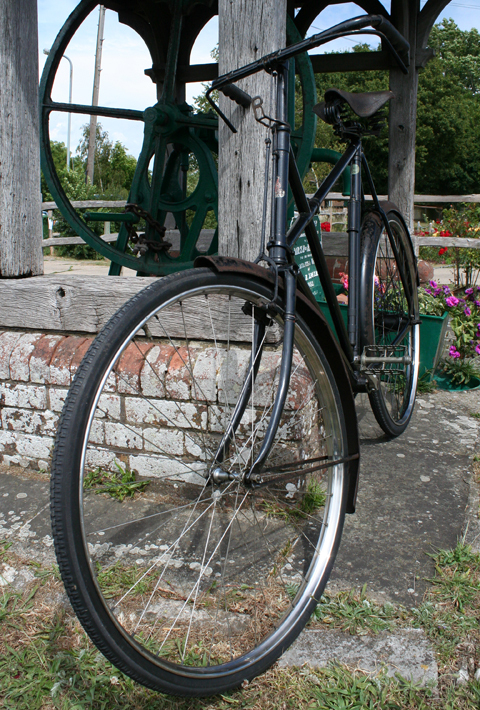 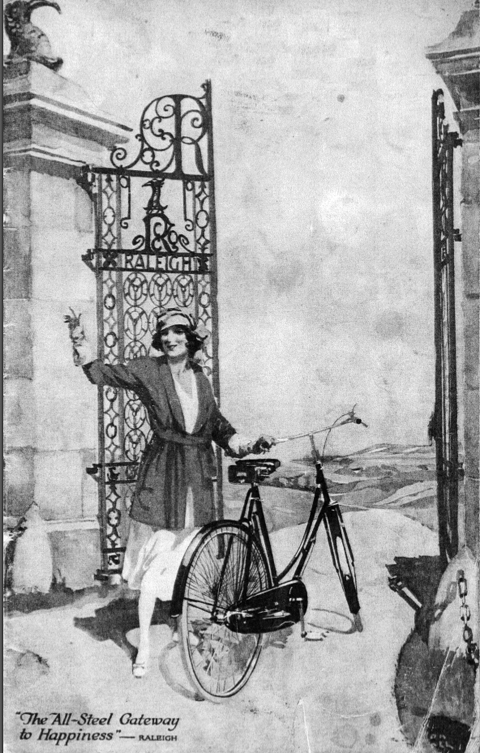 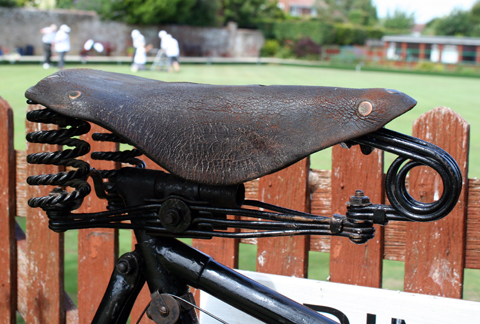 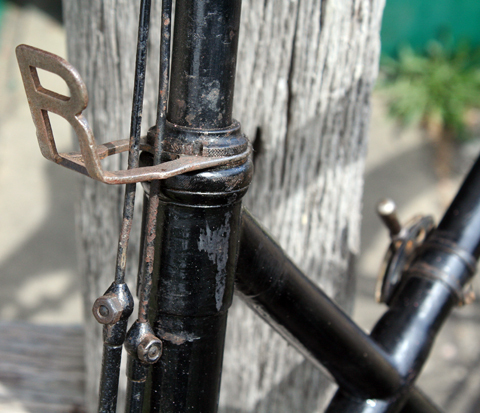 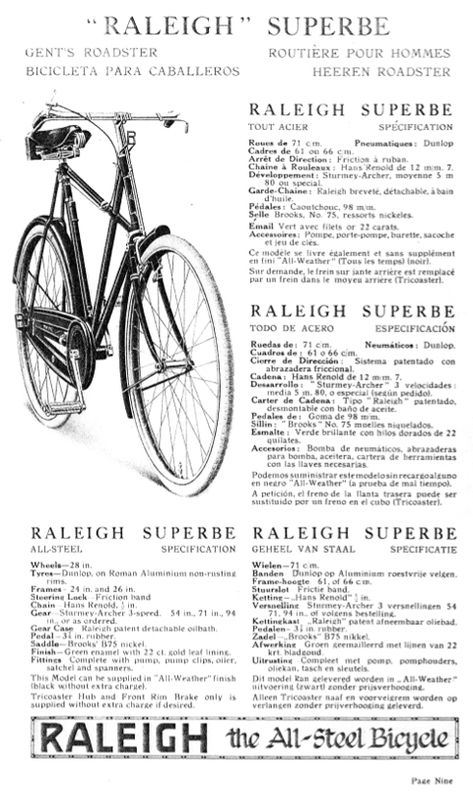 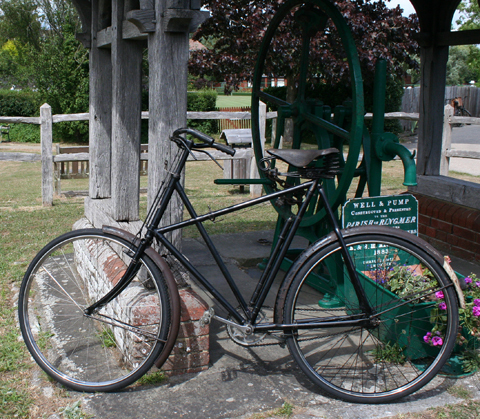 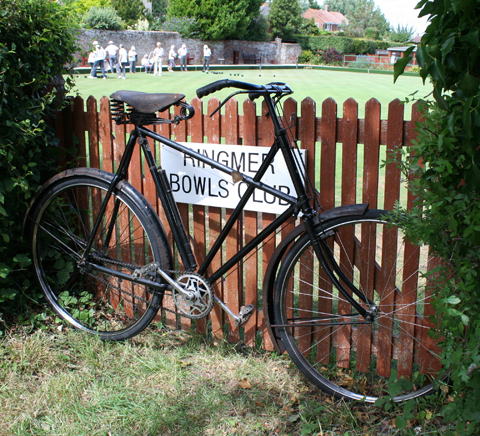 The ‘Gents Model Superbe’ was Raleigh’s top-of-the-range model. 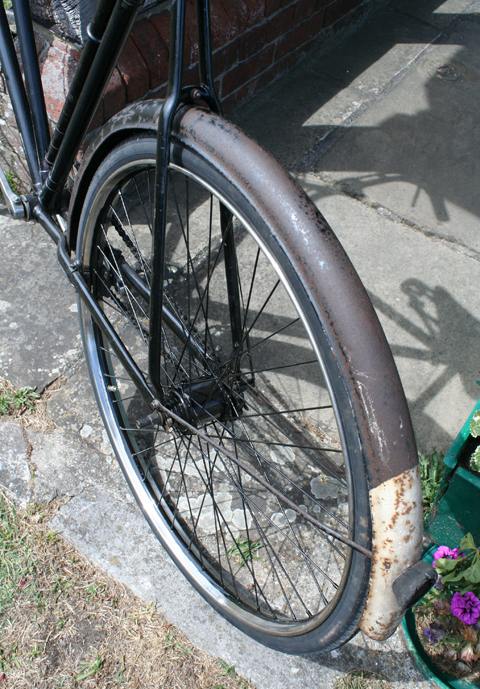 This one is in sound condition all round. 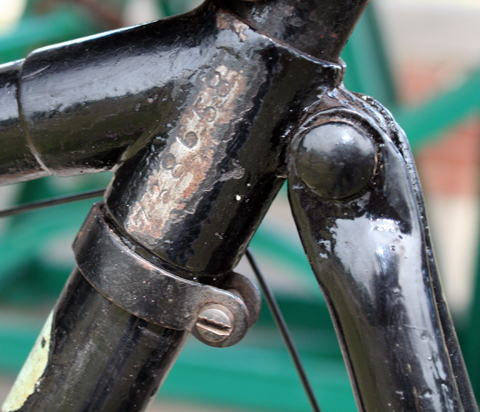 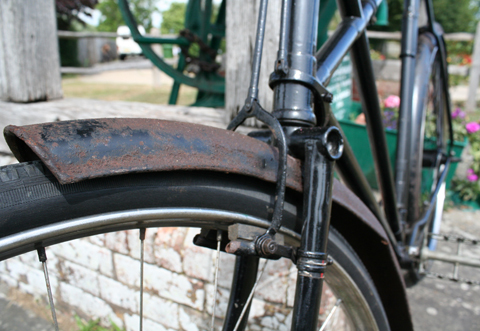 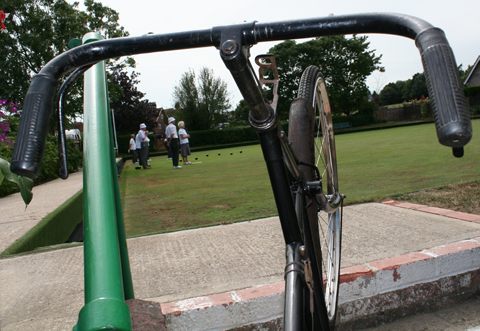 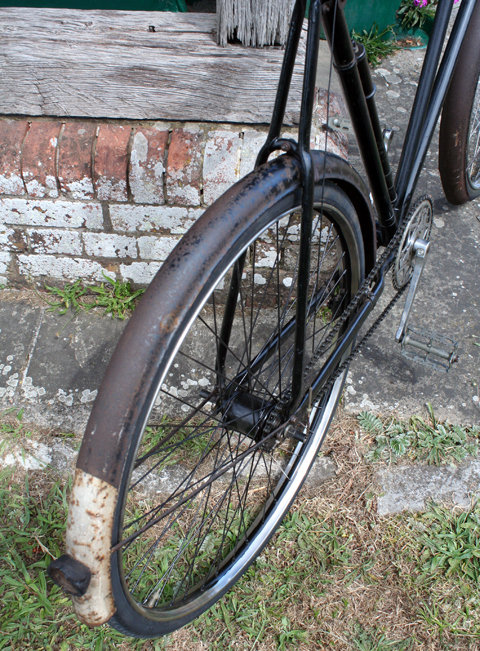 The paintwork on the frame has been touched up, though the mudguards retain their original paint. 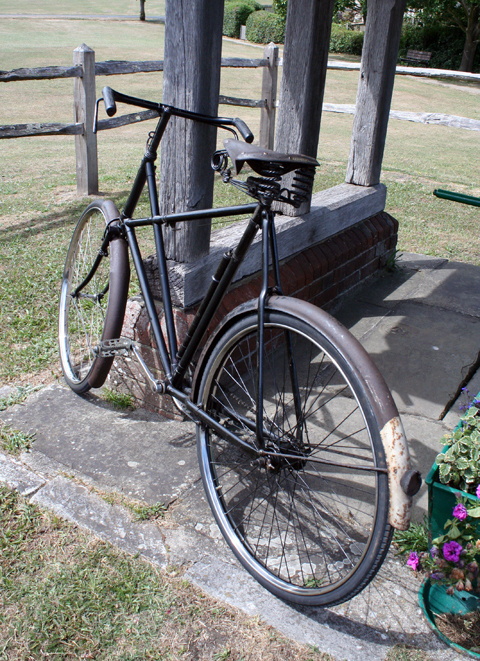 Overall, it’s a very presentable bike, and fully functional. 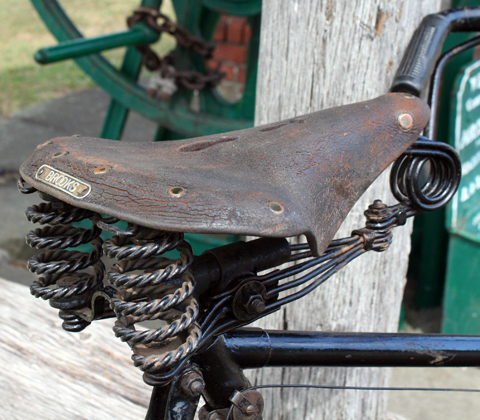 You can use it right away. 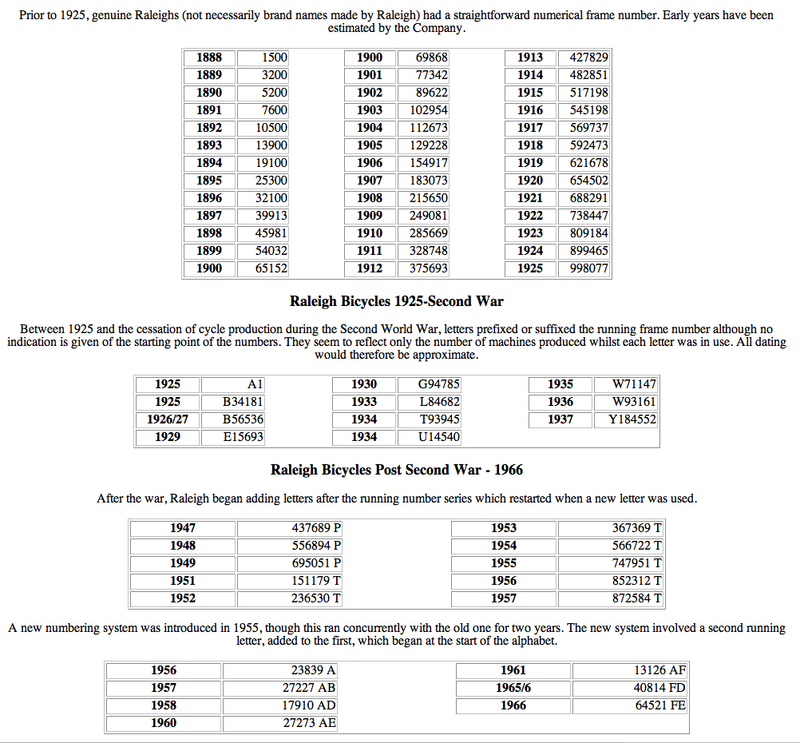 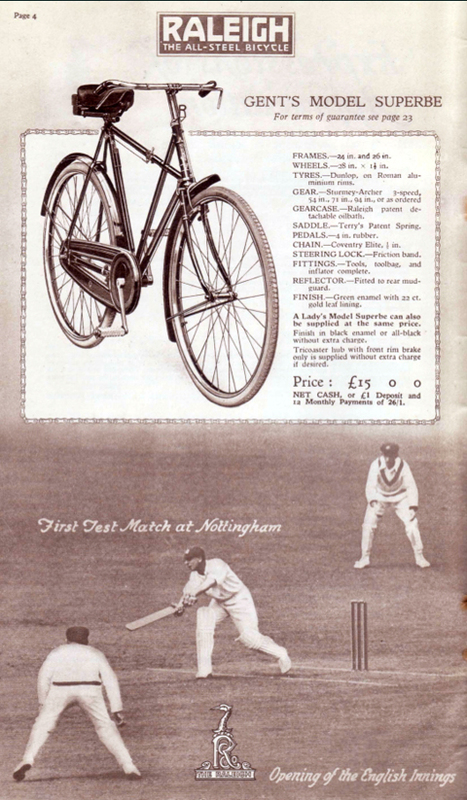 Comparing the 1922 catalogue with the single page from the 1927 catalogue at the top of the page, you can see from the different position of the gear trigger that this Raleigh was fitted with later Sturmey Archer gears. 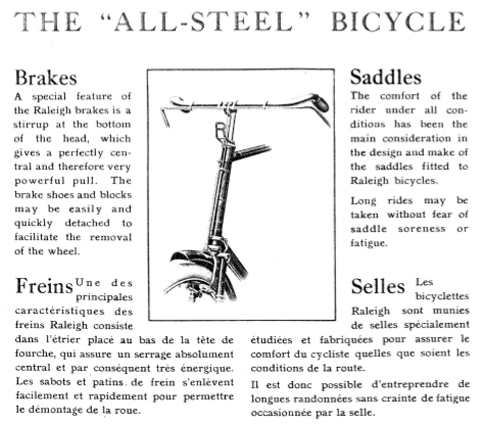 Such upgrades were common at the time. 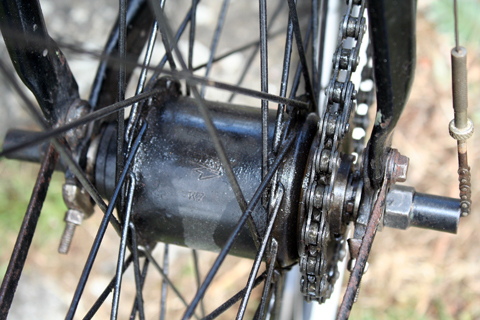 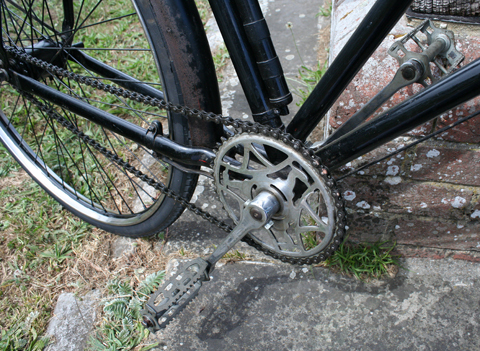 The rear hub is a K7. 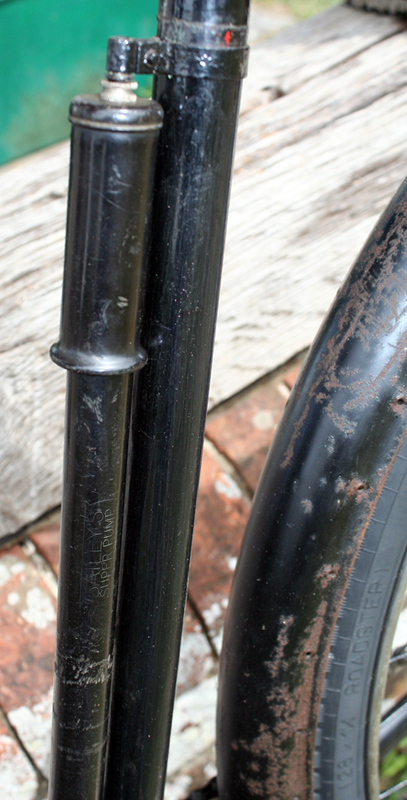 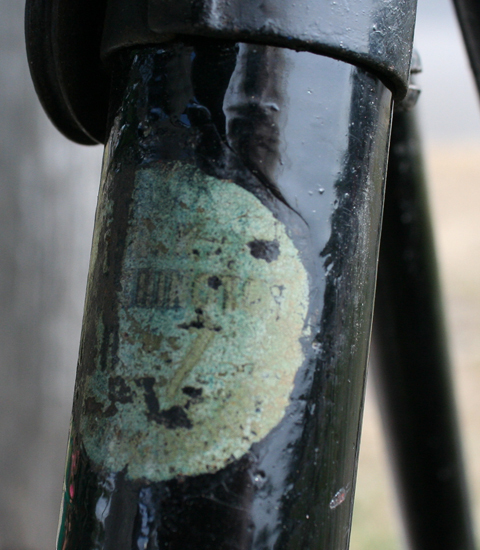 The seat tube transfer showing the cycle agent that originally supplied the bicycle is now hard to read.